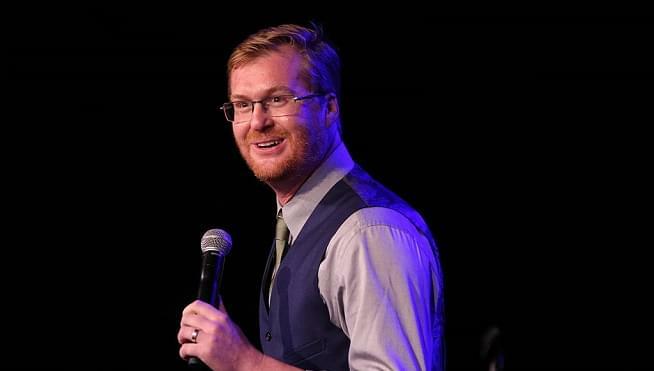 Comedian Kurt Braunohler has a flair for the dramatic. Despite numerous TV appearances, stand-up specials, and a role in the critically acclaimed hit movie The Big Sick, Kurt might be most known for his absurd stunts. From hiring stunt planes to write ridiculous messages in the sky, to jet skiing from Chicago to New Orleans, Kurt has earned the reputation of pulling of grandiose stunts, sort of akin to Willy Wonka. Kurt sat down with me to talk about some of his favorite stunts, how he ended up in a bathroom with Holly Hunter for hours, and why tubing in the L.A. river is his new favorite past time. Check out the podcast below for all the fun, and make sure to catch Kurt when he brings his unique style of comedy to the Punchline in San Francisco for four shows this weekend along with special guest Gareth Reynolds.